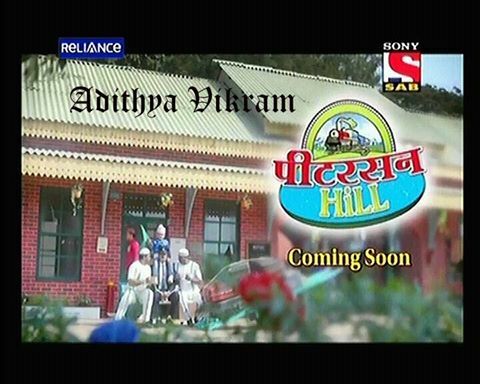 Garima Productions after LapataGanj, joined hands again with SAB TV and launched its brand new show titled as Peterson Hill. The show is inspired with the real story of an old fashion railway station which is situated in the mountains of Shilma where it is said that it is haunted as the owner of that station died due to some reason and his soul is still roaming around to look after his property. Even in this show, Peterson who is the owner of Peterson Hill (Ashwin Mushran) is also shown to be dead but his soul is still roaming at Peterson Hill and taking care of the place. The storyline revolves around the lives of the people who are at the station such as Station Master Kishore Chadda (Rohit Roy) who lives with his wife Pinky Chadda (Sucheta Khanna) who is a simple house wife and is proud of her husband's morale and also with his sister in law Shatabdi (Mansi Shrivastav) who has come to live with them. She is a beautiful girl and so the boys of Peterson Hill are trying to win Shatabdi's heart. Then there is a woman ticket checker Jwala Joshi (Samiksha Bhatnagar) who is a beautiful woman and she is in search of her dream boy with whom she can spend her life.